The bad news is that the infinality repo has been dead for some weeks/months. The good news is there’s another repo you can use to easily get infinality fonts working on Fedora. He has a github repo. It is based on bohoomil’s github repo. 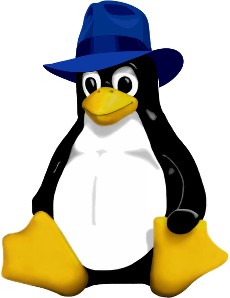 This entry was posted in CentOS, Fedora, RHEL on April 27, 2016 by devhen. firewalld is the default firewall for RHEL, CentOS, Fedora, and openSUSE. Learning new things can be intimidating at first but after a quick tutorial I think you’ll find that firewalld is easier to use for most firewall setups when compared to basic iptables. This entry was posted in CentOS, Fedora, openSUSE, RHEL and tagged firewall, linux, networking, tutorial on May 31, 2015 by devhen. DNF has replaced YUM as the package manager for Fedora 22 onwards and future RHEL/CentOS releases. Luckily, DNF and YUM are very similar, particularly for commonly used commands, but there are some differences. Below are some links I’ve found handy for getting familiar with DNF. This entry was posted in CentOS, Fedora, RHEL on May 31, 2015 by devhen. 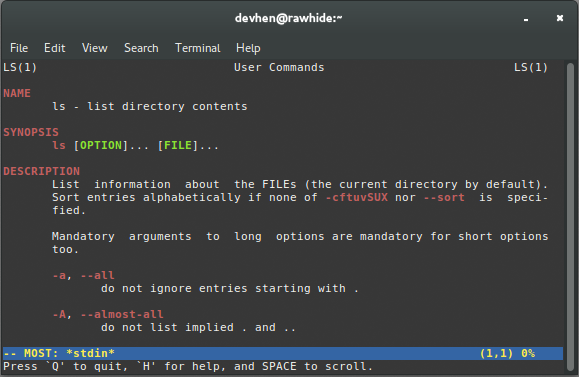 This entry was posted in Fedora on October 24, 2014 by devhen. Alternatively, you can setup a cronjob to occasionally run fstrim on your SSD’s mount points and log the results. If you’re using LVM or disk encryption the instructions will be different. In that case I recommend you read through the relevant sections in the Arch wiki page for solid state drives. This entry was posted in Arch, CentOS, Debian, Fedora, openSUSE, RHEL, Ubuntu on October 16, 2014 by devhen. If your computer is booting with a UEFI BIOS you may notice that changes you make to /etc/default/grub are not taking effect. This may be because you are generating grub.cfg in the wrong location. This entry was posted in Fedora on October 13, 2014 by devhen. I found a lot of complaints online regarding this issue, dating back several years, so I doubt this is a recent bug that will be fixed anytime soon. Luckily there’s a simple fix via Firefox’s userContent.css file. BitTorrent Sync is a powerful cross-platform file sharing application. Think of it as a decentralized version of Dropbox with no charges (it’s free), no limits, and no middle-man. btsyncctl is a simple bash script I wrote to automate the process of starting, stopping, and checking the status of the BitTorrent Sync application (btsync) running on a Linux desktop or server. btsync runs as a non-privileged user and any user with adequate sudo privileges can use btsyncctl to pass it basic controls like start, stop, and status. This entry was posted in Arch, CentOS, Debian, Fedora, openSUSE, RHEL, Ubuntu on October 9, 2014 by devhen.